Genre: Action, Horror, Sci-Fi, Supernatural, Time Travel in a way. 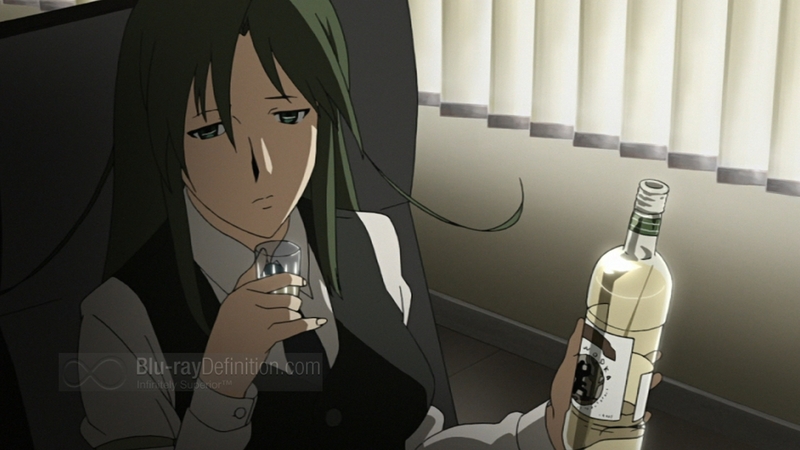 Summary: Rin Asogi is an immortal private detective with a thirst for vodka and a talent for attracting unusual things. Although only six episodes, the series spans over 65 years, where Rin is sadistically pierced, blown up, and beaten to a bloody pulp. Apos is an eternal being obsessed with sacrificing Rin to Yggdrasil, the tree of all life. While Rin struggles to unravel the secrets of her endless agony, Apos lurks in the shadows, eager to tear into her and devour the memories of her countless lives. 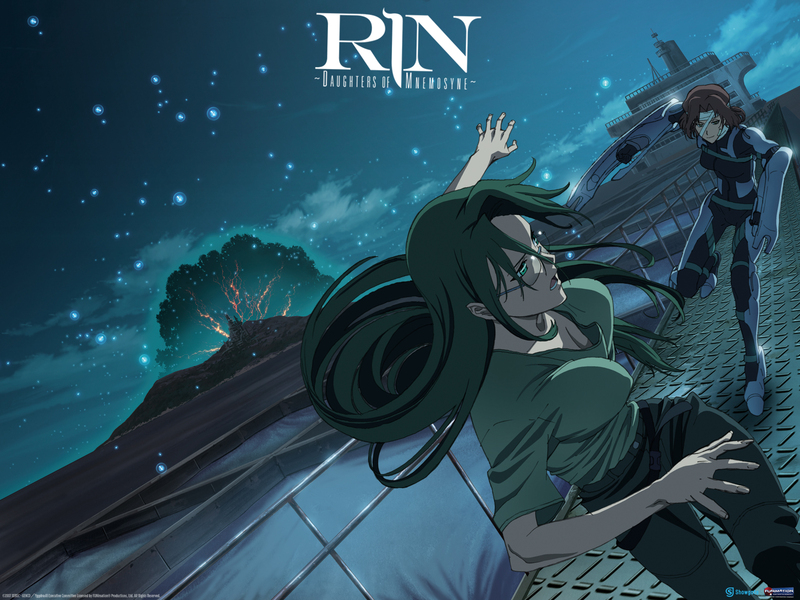 Rin: Daughters of Mnemosyne does a wonderful job with this anime throughout the whole series. Each episode is set during a different year, so make sure to pay attention at the beginning of the episode to find out what year it is. There are some recurring themes and phrases in each episode, which show how even though Rin is with different people, she is still the same person after all those years. I was so interested in this anime that I watched the whole series in one sitting. That means a lot because I had never heard of the series before starting it. I simply saw it on Netflix and decided to watch it. I am glad I did because it was a unique anime with a fascinating storyline. You might enjoy this if: You enjoy mind-bending stories that travel into the future as well as the past…Or if you like vodka. You might not like it if: You are looking for a light-hearted anime with a lot of feel-good moments. Note to the Viewer: Pay attention to the year at the beginning of each episode. This entry was posted in Anime and tagged 2008, action, anime, fi, fragglepuss, horror, review, rin, sci, sci-fi, supernatural, time, travel, vodka, winter. Bookmark the permalink.